Often touted as NTUCs flagship conference, the U Future Leaders is an annual event for Professionals, Managers and Executives (PMEs). 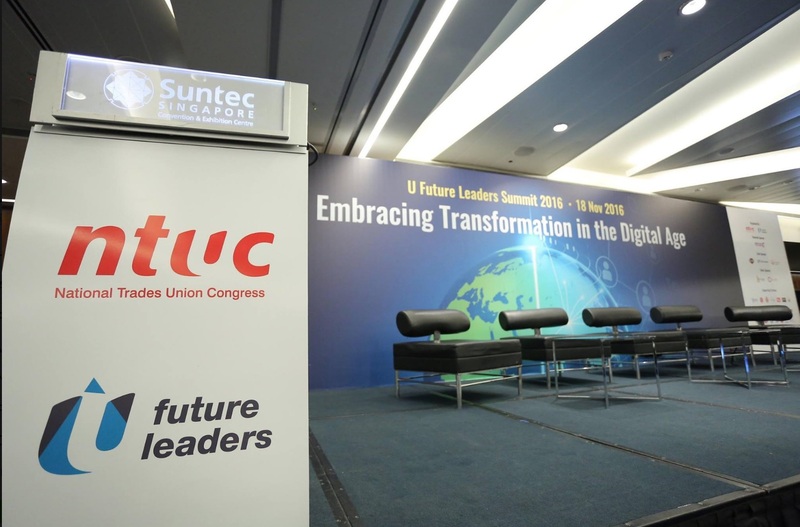 Held on the 10th of November at the Suntec Convention and Exhibition Centre, the Summit focused on inculcating leadership skills in PMEs to embrace digitalisation in the future. The event also included networking opportunities with leaders from various industries to establish alliances for future work opportunities.